Facebook has this feature where it will show you previous posts and pictures that were shared. Some days I have none and others I have a few. And sometimes, on days like today, an exceptionally meaningful post will come up as a memory. Eight years ago today, Sarah saw a new pediatrician for a follow up regarding weight gain, or should I say, the lack of it. In it I had shared that she only gained three ounces in the previous 10 days but her head hadn't shown any changes. We were thankful for the weight gain, but it was still less than half of what it should have been. The lack of gain of her head size indicated stagnant brain growth and she was falling away from her curve. When I look back I wonder what, if anything could have been done sooner. We were trying to get as many calories into her as we could and in addition to me nursing, she was being supplemented with a very expensive, prescription only formula. And it still wasn't working as good as the doctor wanted. 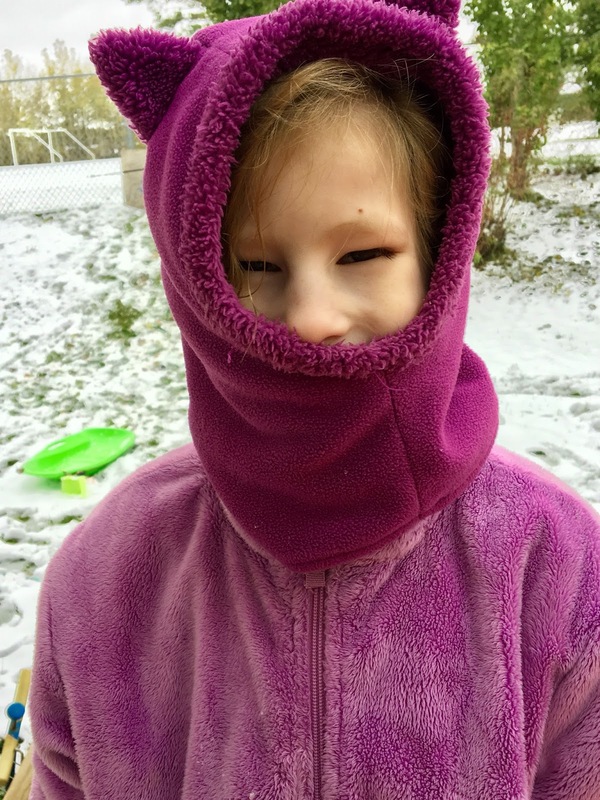 Since her head hadn't grown at all, it was at this time that her first MRI was booked and we knew that if she didn't put on a certain amount of weight by the next appointment, we'd be planning to stay at the hospital. I will write another post on what happened 10 days later. This weekend is Thanksgiving in Canada and I have so much to be thankful for. It began to snow and Sarah loves the snow. ❤️ She found herself some splash pants, mitts and a thick hoodie since we don't have a full snowsuit right now. First thing this morning she was dressed to be outside and play in the freshly fallen snow. She tirelessly hauled that little sled up our hill and excitedly slid down it.